Non-government Teachers’ Registration & Certification Authority (NTRCA) has recently published a circular for 13th Teacher Registration Exam. This exam will be held according to new system. Interested nominees can apply for the exam till 6pm, 4th April, 2016. This year, the exam will be taken through three step- Preliminary, written and viva. Applicant can apply for 3 stage – School stage, School-2 stage and College stage. The preliminary and written test of School and School-2 stage applicants will be taken respectively at 10 am, 6 May and 9 am, 12 August. And the preliminary and written test of college stage applicants will be taken respectively at 10 am, 7th May and at 9am, 13 August. Newly Honours/Degree passed candidate can apply. But they will have to show testimonial, tabulation sheet and admit card given by Principal of their related institutions. 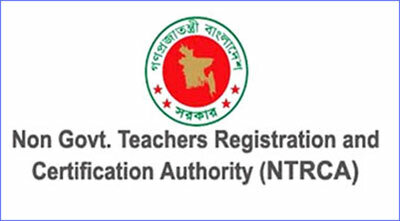 To apply for Teacher Registration exam, visit ntrca.teletalk.com.bd . Select you position, subject and exam centre. Then upload a 300*300px photo and a 300*80px scanned signature. After submitting the form , a user ID and password will be given to the applicants. Applicants will have to use these ID and password to register through Teletalk mobile and pay registration fee. A PIN will be given in the return SMS. A user ID and password will be given in the return SMS. These ID and Password will be required to download admit card. Note: Applicants will have to pay registration fee(350TK) within 72 hours of online registration.